THEY improv provides improv comedy, game shows and murder mystery dinners for entertainment options for a variety of groups and gatherings throughout New York City. For your quality Manhattan corporate events and private parties entertainment, look no further than THEY improv! 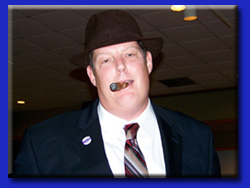 Whether you'd enjoy an Improv Comedy Show, Interactive Game Show, New York City Murder Mystery Dinner or team building workshops, THEY improv can provide you with Manhattan corporate event, private party or New York City murder mystery dinner show that will help you succeed beyond your expectations! THEY improv leads the way for the New York City murder mystery dinner shows for Manhattan corporate events and private parties. With a cast of detectives, quirky suspects and plots customized to each group at a venue of your choosing for a luncheon or dinner show, THEY improv will have your group trying to discover whodunit while laughing the night away. For mid-sized groups, we have a team building version called the Cambridge Solution using the bosses as characters and teams working together to solve the crime. And for smaller groups, THEY improv has a game show version where the participants play all the characters in a mix and mingle party designed to get people to talk to each other and have a great time in a no-pressure environment. 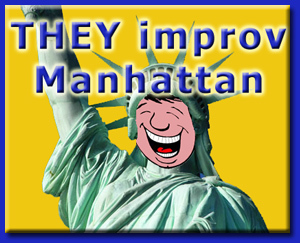 Improvisational comedy is a great way to have an ensemble entertain your group in the Big Apple. The nature of this show is lightning in a bottle. There are moments that can never be repeated because everything is made up in the moment. The audience shares the creative process and can be active participants in the fun. The Big Apple may technically just be a borough, but with more Fortune 500 Companies and international dignitaries than perhaps anywhere else, this New York City borough is a central hub for American culture and economy. And now, its a location to find THEY improv ready and willing to help your Manhattan corporate or private event. Whether you are downtown, uptown, midtown, or in SoHo or Tribeca, the full range of venues can be performed in by THEY improv. 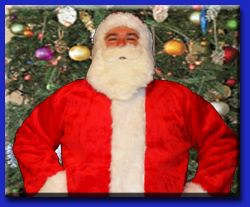 The Manhattan private parties for families or corporate events are improved through all of these programs. And for an area as interesting as this, with its wide variety of culture and sophistication, THEY improv is ready to provide activities that will work for everyone providing entertainment, wellness, bonding and training. After all, being improvisers, THEY can adjust to practically anything. And with hospitality training and team building workshops to help you with providing quality care for your guests or catering services, how can you go wrong with calling us? 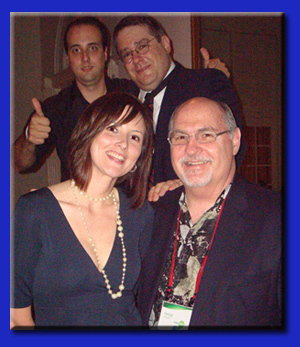 With a variety of features available, such as improv comedy shows, game shows, New York City murder mystery dinner shows and team building workshops, THEY improv can put together a Manhattan corporate event that will achieve your goals and be remembered by all who attend for its success. Find out how THEY can help you succeed beyond all your expectations! 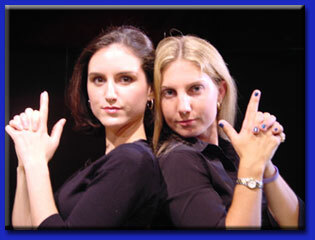 THEY improv leads the way for Manhattan corporate events, private shows, New York City murder mystery dinner shows, business comedy entertainment, corporate training and team building workshops. If you have a company looking for unique and entertaining methods for improving your business, look to THEY improv. We are proud to serve the entire island including Lower Manhattan, Chinatown, Little Italy, Greenwich Village, the East Village, the West Village, TriBeCa, SoHo, Bowery, Battery Park, Midtown, Times Square, Flatiron District, Chelsea, the Theatre District, the Financial District, the Upper West Side, Upper East Side, Madison Square, South Street Seaport, Tudor City, Central Park, Union Square, Gramercy Park and Columbus Circle. We also serve the other 4 boroughs, the Bronx, Brooklyn, Queens, and Staten Island as well as Long Island, Westchester County, Upstate New York and New Jersey. If you are somewhere else, give us a call. "Have Laughter, Will Travel."